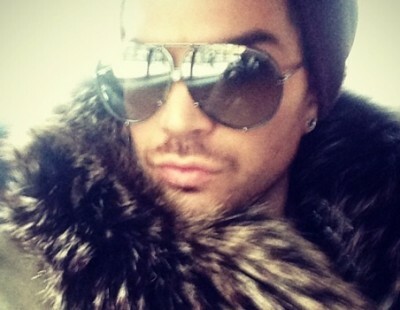 Adam Lambert, runner-up on Season 8 of American Idol fame, was spotted throughout the streets of New York the past few days sporting a very warm and cozy looking coat with what appeared to be one or possibly more large dead raccoons attached at the neck. Upon closer inspection (after having chased down Lambert for several blocks on a somewhat icy NY sidewalk) a cameraman confirmed that, indeed, it was raccoon, but could not determine how many or the location where the animal(s) were harvested for this particular coat. Lambert, quite possibly feeling like a deer caught in the cross-hairs, quickly answered back “Well, yeah, I guess,” and kept moving, thus avoiding having his lovely coat splattered with fake animal blood.